After two straight seasons of missing out on the playoffs, the New York Yankees returned to that familiar terrain in 2015. It was a brief stay in the postseason as they were bounced by the Houston Astros in the one game scramble. Still, it was a productive campaign for the Bombers as they exceeded certain expectations, particularly USA Today’s as they had picked them to finish last. Can the Yanks make it to October again as they continue their rebuild on the fly? Keep reading to find out. Much like their crosstown-rival Mets, the Yankees have their own Big Three in Arms. The Bombers’ version works in the bullpen, with Andrew Miller, Aroldis Chapman and Dellin Betances having the potential to strike out close to 400 batters in total. As long as the starting rotation can get into the sixth inning with a lead, the team should figure to win a lot of ballgames. We won’t get to see the best of this unit until early May as Chapman deals with a 30 game suspension from a domestic violence incident. In order for this relief-heavy staff to work, Chasen Shreve can’t falter over the final weeks of the season like he did in 2015. Someone such as Bryan Mitchell will be called upon to work the long relief/spot start role that was expertly done last year by Adam Warren who has since been traded to the Chicago Cubs. 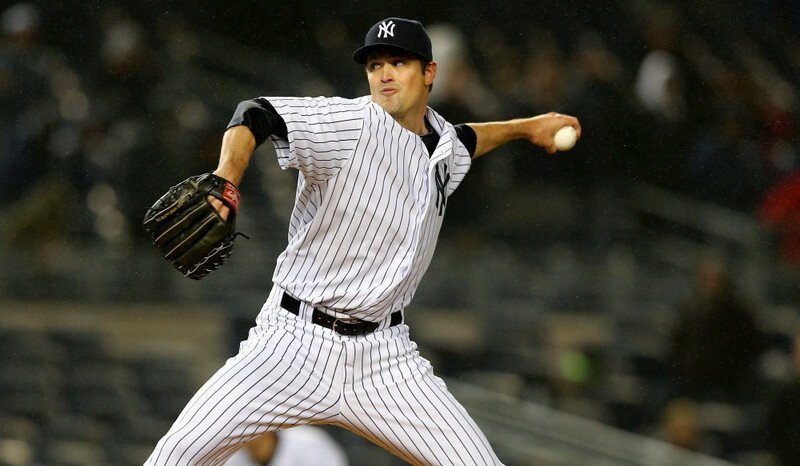 The Yanks have the potential to own the best bullpen in the sport. Though the offense has some age and injury concerns, it has the potential to produce some fireworks. 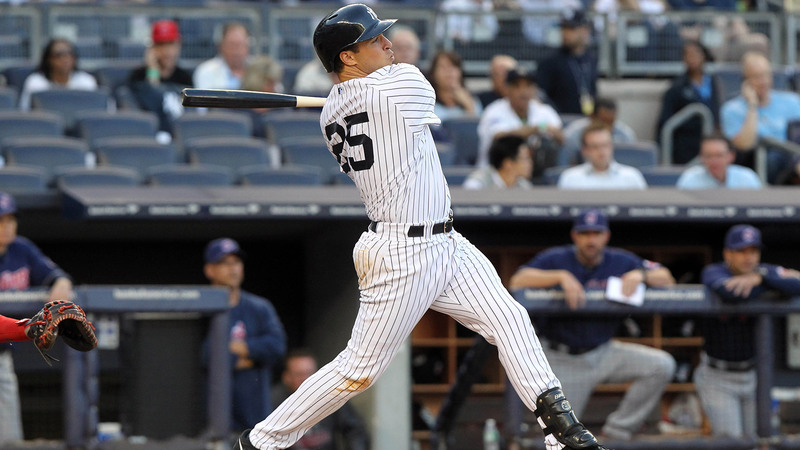 Mark Teixeira was having an MVP-caliber season before a shin injury wrecked his campaign. Can Alex Rodriguez duplicate his first over-40 season? Carlos Beltran was New York’s best hitter in the second half and has to be managed carefully while in right field. The trade of Warren for Starlin Castro provides some sorely-needed offense out of the second base position. Didi Gregorius did well in his first season in Pinstripes and will look to avoid getting off to another slow start. Assuming his Spring wrist injury is no big deal, Brett Gardner should be rock-steady in left field. Brian McCann remains one of the best all-around catchers in either league. The starting rotation, while not boosting a true ace, has a more-than-capable starting five. Masahiro Tanaka, when he has pitched, has lived up to his end of the $155 million dollars New York shelled out for him prior to the 2014 season. When Michael Pineda‘s curve is working, he can be downright unhittable. Ivan Nova is another year removed from Tommy John surgery so expect improved results. Nathan Eovaldi had a solid initial season for the Yanks before a forearm injury cut it short. Luis Severino showed signs of developing into be the first really good, home-grown pitching prospect since Andy Pettitte. CC Sabathia registered a sub-3.00 ERA over his final nine starts of the season. Outside of the up-the-middle trio of McCann, Castro and Gregorius, there are questions surrounding the everyday lineup. Can Teixeira remain on the field for an entire season? Are Rodriguez and Beltran both too old and too beat up to be considered major factors? Jacoby Ellsbury, a free agent bust since his arrival, desperately needs a productive season to justify general manager Brian Cashman’s faith in him. Chase Headley forgot how to play defense last year, racking up 23 errors at third base. Gardner was excellent for four months and dreadful for two. Now he is dealing with a wrist injury that has so far prevented him from playing in a Spring Training game. The offense was anemic for long periods of time in 2015, particularly as the team wilted down the stretch of the season. Time is not on the Yankees’ side. Remember how I wrote above that the rotation can be more-than-capable? Well, there are issues surrounding each hurler. Tanaka, while brilliant at times, has not made 25 starts in either of his first two seasons in New York. Pineda is unhittable with a working a curve and so mashable if he can’t control it. That doesn’t even include his spotty injury history. Eovaldi’s 14 victories came with a 4.20 ERA and only 154 1/3 innings in 27 starts. Severino is promising but you have to remember that he is only 22 with a grand total of 11 Major League starts. It is too much to ask of him to become a number one starter. Sabathia was tremendous late but there is a lot of mileage on his left arm and his recent track record outside of those nine starts isn’t very good. Nova is like Pineda: flashes of brilliance and outings of disaster. To sum it up, the reasons to be worried about this Yankees’ team is that there are so many question marks about age and injury. In Sabathia, Teixeira, Rodriguez and Beltran, you have four guys who are 35 and older and who have had injury-plagued seasons recently. All four are being counted on to play major roles this year. This is to say nothing about Ellsbury, whose history with health are well-known and Gardner, who is attempting to fight through an issue that has the potential to be a problem all season long. Even the strength of the team, the bullpen, has to ride out the first 30 games of the year with Chapman’s suspension. This has the potential to be a 90 win team or a 75 win team. While I don’t think the Yankees are better right now than the Toronto Blue Jays, I also feel that the division is very even. All clubs could finish with .500 or better records with the best one topping out at 89 and the worst at 81. As a lifelong fan of the Bombers, there is nothing more I would like to see than the 2016 version stick it to everyone who seems to be rooting for them to flop. However, there are just too many question marks to overcome. If age and injury on all of the referenced players listed above is kept at bay for a year, a division title is possible. If every single issue turns south, it will be the first time New York finishes under .500 since the first George Bush was in office. I think it falls somewhere in the middle. 84 wins and a third place finish seems about right as they fight for a Wild Card until the final week of the season. 2016 New York Mets: World Series Repeat? Can David Wright Still be Productive?